"In an old house in Paris that was covered with vines, lived twelve little girls in two straight lines." So begins the book Madeline, the first in a series of books written first by Ludwig Bemelmans and more recently by his grandson John Bemelmans Mariano. The books are charming for their poetry, lovely drawings but most of all for the plucy little Madeline, "the smallest of all." The girls are shepherded by Miss Clavel and enjoy great adventures throughout Paris but the biggest excitement of the book was Madeline's appendicitis attack. Madeline's Rescue is the story of what happens when Madeline is rescued from the Seine River by a dog and won the Caldecott Medal in 1954. 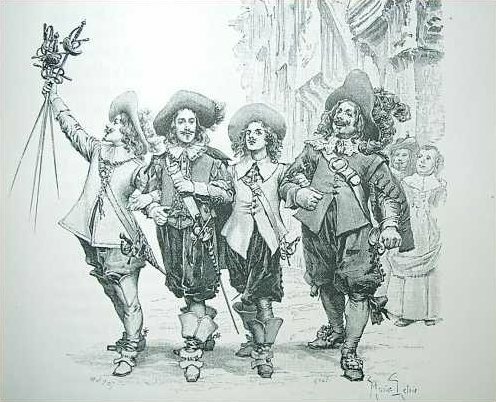 In Madeline and the Bad Hat readers are introduced to Pepito, the son of the Spanish Ambassador who moves into the house next door to the girls. Madeline and Pepito head off for great adventures in Madeline and the Gypsies. "Madeline in America" is a collection of stories that include stories started by Bemelmans but finished by Marciano. It also includes a lovely story about Christmas with Bemelmans written by his daughter. I read the books as part of the "You've Got Mail" Challenge. In that movie, Meg Ryan played a character that owned a children's book store. All of the books/authors for the challenge were shown or mentioned in the movie. It was a pleasure to revisit "Madeline;" I just may have to rewatch the movie, starring Frances McDormand as well! Apparently it's my month for reading parables. First The Pearl and now the tale of Sniff and Scurr, Hem and Haw. This time it's a parable to teach the reader how to deal with having your cheese moved (that is to say change in your life). Sniff and Scurry are mice who react purely on instinct. Hem and Haw are littlepeople who use their brains, "filled with beliefs and emotion." These four creatures live in the "Maze" where they spend their days looking for cheese (the things we want in life). The mice and the littlepeople eventually find their cheese and settle in to enjoy it. Sniff and Scurry always stay ready, keeping their running shoes tied together and hanging from their necks. Hem and Haw, however, settle in, convinced that they've got it made. Given the title of the book, you know things are going to change for the mice and littlepeople. Sure enough, one day Sniff and Scurry arrive at their cheese station to discover that there is no longer any cheese there. Having noticed that they were getting less and less cheese every day, they were ready and quickly took off in search of new cheese. Hem and Haw had been oblivious and were certain that there would be more cheese if they just stayed at their cheese station. You know as well as I did that there will be no more cheese. Sooner or later, Hem and Haw will need to make a move. But will they have the courage? The book is broken up into three sections: the first is essentially a set up to tell the story; then the story itself; and, finally, a discussion of the lessons to be learned and how the people in the discussion might apply them. Certainly this is a short enough book that I could hardly complain about it being too long, but that's exactly what I'm about to do. Because I really thought the entire first section was pointless. I did, however, find myself relating to the characters in the story. At the company where I work, things have been in a state of upheaval for a couple of years. A lot of people, early on, reacted in much the same way that Sniff and Scurry did and got out early, avoiding the stress those of us that have stayed have suffered. Many others have reacted in the same way that Haw did, eventually deciding that there had to be something better. Like Hem, I have to admit that the thought of making a change scared me more than staying put; I kept thinking that things would change. Fortunately for me, things are turning around. And I did make a change in positions in the company that will enable me to learn skills that will come in handy down the road. So, I suppose I have at least put my running shoes back on. I cannot believe that November is almost over, and with it, the year! It's really got me thinking forward and starting to plan my reading for the coming year. Ever since I went to the Omaha Lit Fest in September, I've been thinking a lot about fairy tales and how I could incorporate them into my reading. Should I read a book of fairy tales every month? Should I even read straight through a book or only read a story at a time? Should I read as many different versions of the same story as I can find? And just how many fairy tale books are there? I was pretty sure I already knew that there were a lot of books available after listening to the panelists at the Lit Fest but a quick trip to my local Border's Book Store settled the question. I came away with a long list of books I want and I'm finding new resources almost daily. Which means that even if I read a book a week, leaving almost no time for anything else, it would take more than a year to read everything out there. So I settled on a more drawn out, long term solution. Beginning this week I'm going to be starting a new feature on my blog titled "Fairy Tale Fridays." Every Friday I'll be discussing fairy tales in some way; I may review a whole book, I may talk about only one story, I may discuss a particular author or a new resource I have found. If you're also interested in fairy tales and would like to do a fairy tale post on Fridays, I've created a couple of buttons you can use, located in my side bar. I hope you enjoy the new feature! Hope you are all having a wonderful holiday weekend! Turkey dinner - check. Field goal kicking - check. Shopping for a needy family - still to do. Black Friday shopping - making our lists and checking them twice. I'm going to be ready for a nap and a salad on Saturday! Dina Kucera is the granddaughter of an alcoholic, the daughter of and alcoholic and an addict and herself an alcoholic and addict. Is it any wonder then that all three of Kucera's daughters also because addicts? This is the true story of Kucera's family that also includes her husband and sometimes his twin, her mother who suffers from Parkinson's disease and her grandson who has cerebral palsy. When I was first offered this book, I knew that if it were a work of fiction I would say that the author was trying to do too much. But you literally cannot make some of this stuff up. Like the fact that Kucera is a stand-up comic. Can you even imagine someone who has had this kind of life finding anything to laugh about? Kucera does bring some of that humor to the book but most of the time she is brutally honest. She makes no excuses and does not try to back away from taking her share of the blame for what happened to her daughters. When Kucera was married to her youngest daughter's father, she started to become a mean drunk who picked fights night after night. "I would scream things like that all night. I know now the damage it caused to all three of our girls. I wish I could erase it, but I can't. I was a lunatic. The girls started getting into trouble, and I would stagger to their rooms and slur my warnings about how alcohol problems run in our family. Of course, this didn't include me because I went to work every day and I waited until seven thirty to drink...And they didn't take my advice. They were teenagers, and they were drinking and using drugs regularly - just like their parents." It clearly breaks Kucera's heart to think of all that her daughters have suffered through, but it is the experiences of her youngest, Carly, that seem to have been the hardest for her to deal with. Maybe because Carly started using drugs even younger than her sisters. Maybe it was because Kucera had to face the fact that she had failed yet another daughter. Maybe it was just because it had reached the point where it was all too much to bear. "Carly is nineteen now and has not been to school since she was thirteen. She has never worked or had a driver's license or had anything or done anything that other people do. 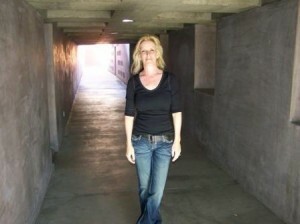 She didn't smoke pot in junior high school and progress to other drugs as she got older. She smoked pot one day and it seems like she was smoking heroin the next. There is a slang term for smoking heroin: Chasing the dragon. That's when Carly began circling the drain. And because she was so young, it unfolded in front of our eyes as we watched in horror." The book hops back and forth in time, which could be confusing, and in tense, which didn't really work for me. Kucera tells "stories" in the book and these are in italics which I didn't understand the need for. But Kucera pulled me into her family's story and it is a story I will not soon forget. I defy you to read this book without becoming emotional--horrified, weepy-eyed, and, in the end, hopeful. Hopeful that this family, who have been through so much, are finally on the road to a happier life. To learn more about Kucera, visit her website, which including a reader's guide for book clubs and advice on what to do if you think your child is using drugs. For a full listing of other reviews of this book, visit TLC Book Tours. Kino is a pearl fisherman along the Mexican gulf. He, his wife, Juana and baby son, Coyotito, live in a small brushhouse on the edges of their small community alongside the other native pearl-fishers. They are poor but seem contented with their lives together. Then two things happen that change their lives forever. First Coyotito is bitten by a scorpion. Juana immediately jumps into action, sucking as much of the poison out of the baby as she can. But Kino and Juana battle between their instinct to do what their ancestors have always done and their fear that they should call on the village doctor. "Kino hesitated a moment. This doctor was not of his people. This doctor was of a race which for nearly four hundred years had beaten and starved and robbed and despised Kino's race, and frightened it too, so that the indigene came humbly to the door. And as always when he came near to one of this race, Kino felt weak and afraid and angry at the same time. Rage and terror went together." When Kino makes the decision to take Coyotito to the doctor, he is turned away at the door for lack of money, fueling Kino's rage and feeding his feelings of inferiority. Later that same day, it appears that their lives will take a turn for the better when Kino finds a magnificent pearl that the villagers are soon proclaiming to be The Pearl Of The World. Kino begins seeing in the pearl all his family will soon have--new clothes, a new harpoon, an education for Coyotito, and a church wedding. But Kino knows that "the gods do not love men's plans, and the gods do not love success unless it comes by accident" and Kino has now made plans, plans easily to be attacked. He begins to worry that others will begin to cause problems for his family, with good reason. Soon the priest is at the door to "bless" them but also to stake his claim for the church; the doctor shows up suddenly eager to treat the baby; and dark men beginning appearing in the house, trying to steal the pearl. Was the pearl a blessing...or a curse? There is nothing subtle about this novella. Steinbeck's love of the common man and his belief that power will always go to the powerful are evident throughout the book. It almost appears as if Steinbeck is saying that even the simple wants of Kino are too much for a poor person to hope for, that he is greedy for wanting a new suit of clothes for his son. As the book progresses, Kino becomes more cruel as he becomes more obsessed with protecting the pearl. Is he wrong to want a better life? But it is the greed of all men and the power of some that propel Kino along a path of self-destruction. I loved the use of song in this book. The "Song of the Family" represents the love and peace Kino and Juana feel at the beginning of the book. More and more throughout the book, however, Kino is hearing the "song of evil." Unfortunately his response to this song continue to lead him to decisions that cause more and more trouble for his family. Steinbeck challenges the reader--how much would you be willing to risk to give your family a better life? "In this Gulf of uncertain light there are more illusions than realities." John Steinbeck drew on both the biblical tale of "the pearl of great price" and an old Mexican tale when crafting this parable, as well as the lessons his own life had taught him. He wrote The Pearl it was on the heels of his huge success with The Grapes of Wrath. That success had taught Steinbeck that becoming successful, gaining possessions, would not necessarily make a person's life easier or better. His own success had certainly given him the financial means to make for a comfortable life but it also brought with it persecution and FBI attention. I've been reading like crazy this week, trying to get caught up on my challenges. Luckily, the You've Got Mail Challenge has a lot of children's books and I was able to read eight books for that challenge today! Also knocked out another one for the Gilmore Girl Challenge and I'm well on my way to finishing another. I know a lot of you will be getting a lot of reading done over the long weekend and I'd like to think I'd be joining you. But I know that with Thursday and Friday spent with family I won't be getting in any more reading that a usual weekend. 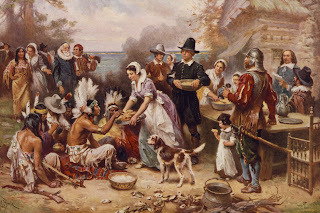 Tomie de Paola's "My First Thanksgiving"
I liked both of these because they were better about not perpetuating the myths about that first Thanksgiving that we all now know are not true. 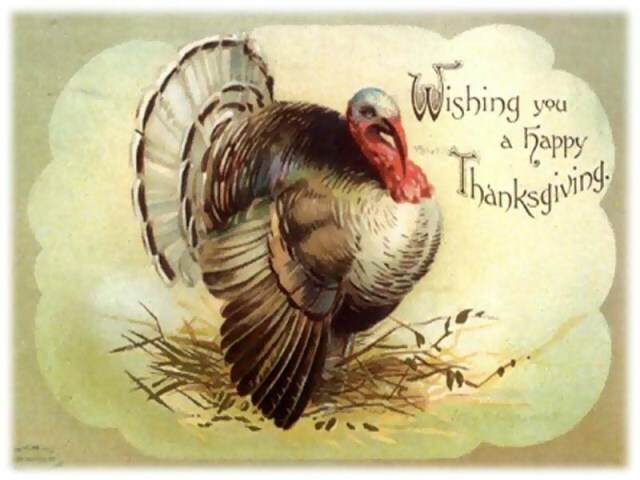 Does your family have any favorite Thanksgiving books? Remember the other day when I said that I was going to have to drop out of The Michener Challenge? I'm happy to have been corrected by Michelle of The True Book Addict. This one's a perpetual challenge so I won't have to drop it after all! 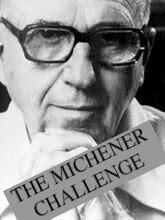 My reading plans for next year are to try to read a "chunkster" a month so I'll be able to fit at least one Michener in after all! 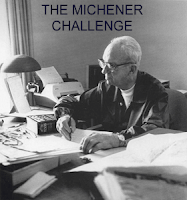 Have you ever read any of Michener's works? I love how he's able to blend a tremendous amount of research into a captivating story. What are you're reading plans for this week? A month and a half left in the year and I'm scrambling like crazy to get through the challenges I signed up for at the beginning of the year. I thought I had set myself up to easily succeed easily at all 11 (or was it 13?) challenges. I read 118 books last year and the way I planned to meet the challenges meant I'd only have to read 46 books. Should have been easy, right? Sadly, no. In fact, I'm going to have to give up on both The Michener Challenge (no way to work one of his big books in by the end of the year!) and The Random Reading Challenge (I got stuck on my third book--did not like it at all and just could not move on without finishing it). I have had better success with other challenges. I've finished the 2010 Flashback Reading Challenge. I signed up to read 4 books and have already re-read six books: "James And The Giant Peach," "Eloise," "Charlotte's Web," "Stuart Little," "Wuthering Heights" and "Angela's Ashes." By year's end, I also hope to have re-read "Jane Eyre" and one of Jane Austen's books. 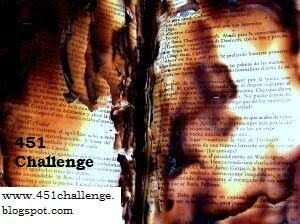 I've also completed the 451 Challenge. I always was kind of a rebel, I suppose. For this one, I read "Eloise," Wuthering Heights," "The Handmaid's Tale," "The Poisonwood Bible," "Anne of Green Gables " and "To Kill A Mockingbird." Now I've got to go read--I'm only half way done with 2 big challenges and still need to read one more for the O.A.T.E.S. challenge. Stuart Little is the son of Mr. and Mrs. Frederick C. Little. To say that he was a surprise at his birth would be an understatement; he was not much bigger than a mouse...in fact, he looked very much like a mouse. Although Stuart's size presents some problems and even some frights, the Littles love Stuart. But when Stuart's friend, a bird names Margalo, flies away from the Little home, Stuart sets off on a grand adventure to find her. I read this book when I was young and read it again to my own children but I honestly did not remember that much about it, other than the basic premise. This was White's first novel and the publisher's were concerned that children might not accept a story about a mouse-child or without a clear cut ending. Clearly, they did. White has created in Stuart a character that children can relate to - sure they aren't as small as a mouse but they are much smaller than all of the adults they are surrounded by. I found Stuart Little to be simply charming. "In the loveliest town of all, where the houses were white and high and the elm trees were green and higher than the houses, where the front yeards were wide and pleasant and the back yards were bushy and worth finding out about, wher ethe streets sloped down to the stream and the stream flowed quietly under the bridge, where the lawns ended in orchards and the orchards ended in fields and the fields ended in pastures and the pastures climbed the hill and disappeared over the top toward the wonderful wide sky, in this loveliest of all towns Stuart stopped to get a drink of sarsapilla." Garth William's pen drawings in this book are lovely; I liked them so much better than his drawings in Charlotte's Web. In this book, they really aided in telling the story. If your children haven't read this one, please encourage them to do so. It is so much better than the movie adaptation. Life is tough for Ponyboy Curtis. His parents died in a car accident several months earlier and his two older brothers are working hard to make sure the family can stay together. But keeping Ponyboy, and themselves, out of trouble is no easy feat. The Curtis boys are "greasers," a label that Ponyboy struggles with. When the Socs, the rich kids from across town who are the greasers rivals, use the word, there's no doubt that it's intended as an insult. Yet Ponyboy is proud of the people he calls friends and just fine with the style of their hair and they clothes they wear. One night Ponyboy, his friend Johnny, the group's "pet," and Dallas (Dally), the meanest one in the group, sneak into the drive-in. When they meet up with a couple of girls from the Socs it sets in motion a string of events that will forever change all of their lives. S.E. Hinton started writing this book when she was only fifteen years old, something that is hard to believe except for the fact that it may account for the reason the book so captures the voice of her generation so well. In The Outsiders Hinton brought to young people a voice that they had never had before. The book is startlingly realistic and violent but also finds Ponyboy seeing the good in everyone. Hinton does not make any "if we could just talk, everything would be fine" promises. But she certainly tried to leave young people with the message that even though there are some barriers that might not be able to be crossed, trying to a least understand the other side might just make the barriers easier to live with. "It seemed funny to me that the sunset she saw from her patio and the one I saw from the back steps was the same one. Maybe the two different worlds we lived in weren't so different. We saw the same sunset." When you were all reading Judy Blume, I was reading S. E. Hinton. With all of the talk about Blume I see on blogs, I sometimes have wondered if I made a mistake. Perhaps I should have read some Blume. But on re-reading The Outsiders I still think I made a great choice. In April I ordered this book, after having been convinced that it was a book that simply had to be read by everyone. Kristen Tsetsi, author of Homefront, cited it in my interview with her as did Tatjana Soli, author of The Lotus Eaters, in my interview with her. Knowing that I was not going to have time to read the book for a while, and knowing that it was something that would appeal to my dad, I loaned him the book. He wrote a wonderful review for Lit And Life and I'm by no means going to try to top that one. But after discussing my thoughts on the book with a Kim of Sophisticated Dorkiness, I wanted to share them here as well. 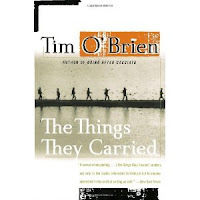 My dad talked about the opening chapter in which O'Brien details the things the soldiers carried. This chapter really drew me into the book as well. "To carry something was to hump it, as when lieutenant Jimmy Cross humped his love for Martha up the hills and through the swamps. In its intransitive form, to hump meant to walk, or to march, but it implied burdens far beyond the intransitive." It was these burdens that made the listing of the actual physical burdens so much more than a mere listing. "They carried all the emotional baggage of men who might die. Grief, terror, love, longing - these were intangibles, but the intangibles had their own mass and specific gravity, they had tangible weight." "On The Rainy River": a story about the narrator's decision not to run to Canada to avoid the war and how this made him feel like a coward more than evading the war would have. "How To Tell A True War Story": here O'Brien really begins to delve into what is the truth about the stories of war. "A true war story is never moral. It does not instruct, nor encourage virtue, not suggest models of proper human behavior, nor restrain men from doing the things men have always done. If a story seems moral, do not believe it. If at the end of a war story you feel uplifted, or if you feel that some small bit of rectitude has been salvaged from the larger waste, then you have been made the victim of a very old and terrible lie." "Sweetheart of Song Tra Bong": in this story one of the soldiers sneaks his girlfriend into camp. What becomes of her is not in the least what you might expect but it is equally horrifying, especially if you have always believed that wars would never happen if women were in charge. "The Man I Killed": the narrator kills his first enemy soldier and then is paralyzed imagining who he might have been and who he might have become. This incident will come back again in other stories and make the reader wonder exactly what really happened. "Speaking of Courage" and "In The Field": both stories are related to the same incident. "Speaking of Courage" is the story of one soldier's adjustment to life back home, particularly in light of what he thinks happened during this incident. "In The Field" is the narrator's take on that same incident and his own culpability. The Things They Carried is a work of fiction. One that does not read or feel like a work of fiction. Having been written by someone who was there, the reader cannot help but feel that much of what O'Brien writes is based on someone's reality of the life of a soldier and the aftermath of war on soldiers. There is no other way to end this post other than to say to you "read this book." It is beautifully written and eloquent in a way that few books about war are. Thanks to Jennie Nash, who first made me aware of this book. It is one that will remain on my shelves, one that will be read again. Guest Post - Jasmine Freeman of "Life Choices"
Life Choices by Judi Moreo was published January 2010 by Turning Point International. It is actually a collection of stories from 26 authors chronicling their life experiences and the lessons they have learned. "Overcoming heredity, environment and their own fears to make choices that led them to new adventures and better lives, these authors share their journies through pains, sorrows, trials and tribulations in the hope of giving the reader the encouragement to make better life choices." Please welcome one of those authors, Jasmine Freeman to Lit and Life! Working for a professional speaker, trainer and author I get to meet some interesting people in our day to day business. Many of which are also speakers, trainers and authors. I am blessed to have inspirational thoughts and tidbits coming at me from all sides including Facebook, Twitter, LinkedIn, blogs, autographed copies of wonderful books and being privy to watch these phenomenal people in action. This year has been a very challenging year but knowing all of these great people has pulled me through with more new opportunities than I have seen throughout my entire life! One of these amazing speaker/author types and I were having a conversation while she helped to fill and and facilitate a course offered by our training company. She is always working on a new project and this subject that afternoon for us was her newest project, a book to be released this fall about Life Choices. I was familiar with the first Life Choices book and loved it. In fact, I knew a few of the authors within the book! As she told me more about the purpose of this next book in the series I thought to myself… “I have a story!” Then I actually said what I was thinking out loud, to her, this accomplished woman! I should probably find time to sit down and write this story out but I’m supposed to be going away on a cruise with my husband and my boss for a planning meeting – am I really going to have time for this? I decided to push myself and give it a try anyway. I took the cruise and didn’t give the book much thought as much as I really wanted to have it complete and in her hands by the time I returned to shore. I started to panic – what about my story I promised to Judi? Maybe I should pass; I don’t think my story is going to help anyone anyway. Then I started to think about it a little deeper. Yes, as a matter of fact I do have a story. In fact, I had already started the ground work by writing and giving a speech about my story a few months back. A Baby Changes Everything – a story about myself, 15 years ago at this very time in my life – about as pregnant as I am right now and so lost and so confused about who or what I was going to be. The pieces of my puzzle began to come together as I worked on my story for this book. I had a few very close friends look over my work and help to proof it until I felt like it was ready and then I did the craziest thing I could have done…I sent it off to Judi and her editors for the book. I submitted a story to be published in a book – this is so much bigger than me, am I ready for this? Where will this journey take me? I can’t wait to see where this journey takes me! I waited for her reply that they would include my story. Nothing. I waited some more, still nothing. Deadlines passed and nothing. I thought for sure she decided she isn’t using my story and I’ll probably get a letter saying “maybe next time” or something of that nature? I went to a local NSA (National Speakers Association) meeting by invite of Judi to see a speaker and I learned a few things during the meeting from all of these local speakers, I began to think about my story – maybe I should have done this, maybe I should have done that… Lucky me, I had the chance to speak to Judi at the end of the meeting and the topic of the book came up. I can’t remember what exactly I asked her but it was directly related to whether my story made the cut…Judi replies “of course your story will be in this book!” – I was so excited I felt like my self esteem had just been given a bump right back up from the pits of my toes straight up to my ears! Here I am 15 years later, due about 5 days away from the same due date I had those 15 years earlier about to have my fourth child and couldn’t be happier. I was so afraid that everything was over then, but it was merely just the beginning. Jasmine Freeman is Chief Executive Assistant to Joan Burge, founder and CEO, Office Dynamics. Jasmine joined Office Dynamics in 2006, moving her family from Iowa and bringing her already-strong executive assistant skills to the organization. As strategic business partner to a busy CEO & professional speaker, Jasmine is involved in numerous aspects of the business as well as managing a hectic speaking schedule for her business partner. Jasmine develops, creates, writes, and designs various communication pieces, plays an expansive role in the company's social media initiative, attends functions and meetings on behalf of her business partner, is client liaison, organizes and coordinates all major training events, seminars, and large admin conferences held by Office Dynamics, and is responsible for managing office staff. Jasmine is a featured author in the recently published book, Life Choices: Putting the Pieces Together. Jasmine is a member of the Las Vegas Chamber Young Professionals Organization (Vegas Young Professionals) and the Las Vegas Valley Chapter of IAAP. She is a true networker and tremendous contributor to the growth of Office Dynamics and hopes to someday inspire administrative professionals in her own unique way. A Single Man is a single day in the life of George, a college professor in 1962 Southern California. Because the book is only 186 pages long and only chronicles one day in a life, it might be assumed that not much would happen, that not much could be learned. You would be wrong. Isherwood packs a lot of life into this novella. George is a sad, middle-aged man, trying to come to cope with his grief following the death of his lover and struggling with his conflicted opinions of his own self-worth. In this day, George will teach a class; visit, in the hospital, the woman who tried to take Jim away from George; have dinner with a female friend; and enjoy a drunken romp on the beach with a student. George is an outsider--he is British, he is gay, he lives in a neighborhood filled with families. George doesn't even feel like he fits in with the other professors in his department. He is conflicted in so many ways. "He does so hate unpleasantness" but he is deeply angry about what he thinks of a "The Enemy," developers, politicians, his neighbors, any one who is anti-gay. George has even developed an internal persona, "Uncle George," who will orchestrate a terrorist retaliation who will fight back against everyone George feels is responsible for Jim's death. But, no, George's British restraint will not let him go far with this line of thinking. The idea of actually teaching his classes appeals to him; at the beginning of class when he has prepared himself and before the students begin to lose interest. "His lips curve in a faint but bold smile. Some of them smile back at him. George finds this frank confrontation extraordinarily exhilarating. He draws strength from these smiles, these bright young eyes. For him, this is one of the peak moments of the day. He feels brilliant, vital, challenging, slightly mysterious and, above all, foreign. His neat dark clothes, his white dress shirt and tie (the only tie in the room) are uncompromisingly alien from the aggressively virile informality of the young male students." You may never read a book in which you learn more about a character. George's struggles to define who he is are brilliant. In the opening pages we see George "composing" himself in front of a mirror, literally putting on the face he will present to the world. But there are many different "faces" of George. To the neighbor children, he is "That Man," that man that doesn't want them on his lawn, who will "roar" at them. He hates this about himself, while at the same time realizing that this is exactly the role the children want him to play and so he does. I never could decide how I felt about George. A part of me felt very sorry for him. A part of me wanted to slap him upside the head. "Because, absurdly, inadequately, in spite of himself, almost, he is a representative of the hope. And the hope is not false. No. It's just that George is a like a man trying to sell a real diamond for a nickel, on the street. The diamond is protected from all but the tiniest few, because the great hurrying majority can never stop to dare to believe that it could conceivably be real." Thanks, Care, for sending this one to me and introducing me to Isherwood. Can't wait to pick up the movie and see Colin Firth as George. I love the book section of the Huffington Post; there's always something of interest there. I liked this list of books Huffington Post readers can't wait to finish. One is Michael Ondaatje's Divisadero which I'm really looking forward toreading. "Heidegger is a tour de force whose imagery haunts the reader long after the final page is turned. The book evokes overwhelming feelings of both sadness and hope - I felt richer for having read it." This week Flavorwire published a list of "10 Essential Books From The Past 25 Years." I'm embarrassed to say that I have not read any of them. Mini-me has me beat--he's read two and even The Big Guy has read one more than I have. Clearly, I have some catching up to do! Yesterday my day took a drastic change when my daughter, who was helping a friend move, called to ask if we could bring the van to help move a loveseat. Five hours and three van loads later, Mini-me and I finally got home. I've always been big on helping people move; you never know when you'll need the same favor in return. But I'm not sure there has ever been a situation where I have been so glad that I was able to help; a mom with a physical impairment, two daughters, a couple of teenaged friends and a set of grandparents were running out of steam and needed fresh muscles. I came away feeling that I had been the beneficiary of much more than I had given. I walked back into my own home and didn't see the countertop I want to replace or the wooden floors that need to be refinished. Instead I was struck by how much I do have and by how lucky I am to have it. And so very thankful for the family that I have, who are always willing to help when it's needed and always so supportive. It was just the thing to remind me of what this month is all about. When Agnes Grey's father loses the family savings in a disastrous investment, 18-year-old Agnes feels it is time for her to learn to take care of herself and earn her own way. Although sad to leave her family, Anne heads off to Wellwood Mansion full of high hopes. Unfortunately, the Bloomsfield family quickly makes Agnes realize how inferior they consider her to be; even the children show her very little respect. Things are little better for Agnes when she becomes the governess for the Murrays of Horton Lodge, although here Agnes will start to find a way to make her own life. I've read Charlotte Bronte's Jane Eyre (love it) and Emily's Wuthering Heights (I've read it three times, trying to find out what makes it so popular and still don't get it). 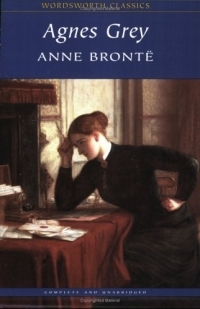 I had great hopes for Anne; my friend Sarah, of Sarah Says, declares that Anne is her favorite of the Bronte sisters. She's going to have to do much more than she did with Agnes Grey before she can unseat Charlotte in my opinion. This book is a largely autobiographical account of Anne's own time as a governess. Which is not particularly an exciting or fast-paced life, of course. But the first half of this book really felt like it was crawling along for me. Anne was clearly an introspective woman, as well as a deeply religious person, and long passages of the book were nothing more than Agnes' reflections. I began to long for Wuthering Heights' Catherine Earnshaw. Anne did not think much of the British upper class, if this book is a true reflection of her own opinion. The fathers in both families that Agnes served were absent, the mothers delusional about the merits of their children, and the children spoiled and lazy. Agnes was given charge of the children but no authority at all to discipline them. Agnes Grey picked up for me when the Murray children grew older. Agnes began to venture out into the community and Bronte's commentary was able to become more far reaching. I'll keep this one and perhaps give it another read one day. In the meantime, I'll pick up Anne's The Tenant of Wildfell Hall and see if I enjoy it as much as Sarah did. My copy of the book is reprinted from the fourth edition of "Poems" by Barrett Browning which was published in 1856. Source: this one's mine--although when I got it, I can't recall. Strangely there is no publication in my slim, leather-bound edition. I know I've had it more than 30 years. Reading these sonnets, I was struck by several things. They just don't right 'em like this any more and I'm not sure anyone else ever did. These sonnets are a collection of very personal poems, not just love sonnets. The Barret family was once well-to-do but when Elizabeth was 18 her family fell on hard time. Depending on the source, she began to suffer from a mysterious ailment at 15 or 20 that doctors at the time were never able to accurately diagnosis, leaving her something of an invalid and a morphine addict. Both of these circumstances were very obvious this collection as was a strong sense of God. 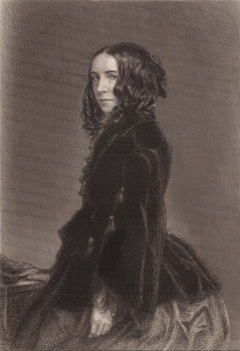 Elizabeth Barret met Robert Browning after he wrote to her because he enjoyed one of her poetry collections. Six years younger than her and far more worldly, she seemed to have trouble believing that he loved her as much as he professed. 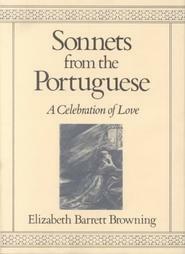 The collection that is now referred to as "Sonnets From The Portuguese" is a very personal journey through the course of their courtship including her questioning of his assertions of love and her doubts about leaving her family for him. Robert convinced her to publish the collection even though Elizabeth felt they were too personal; they came upon the title as a way to disguise the fact that Elizabeth had written them to Robert. "My little Portuguese" was his nickname for her, hence the choice to pretend that the collection was a translation of Portuguese poetry. "Maycomb was an old town, but it was a tired old town when I first knew it"
This is the home of Scout Finch, narrator of the story of her youth, her unusual father, Atticus, her older brother, Jem, and the people that surrounded them in the mid-1930's in Alabama. "People moved slowly then. they ambled across the square, shuffled in and out of the stores around it, took their time about everything. A day was twenty-four hours long but it seemed longer. There was no hurry, for there was nowhere to go, nothing to buy and no money to buy it with, nothing to see outside the boundaries of Maycomb County." By now, particularly in light of the recent 50th anniversary buzz about this book, you're all probably familiar with the story. This was the first time I have read this book, although I have seen the movie adaptation several times. I was both pleased to see how well the book had been adapted (including most of the dialogue) and surprised by how much more there was to discover in the book. I've always had the impression that Atticus Finch was an ideal father (although this may have something to do with the fact that he's played by Gregory Peck in the movie). The beginning of the book gave me another impression. "Jem and I found our father satisfactory; he played with us, read to us, and treated us with courteous detachment." Courteous detachment? Hardly what I would consider a perfect parent. Atticus is often preoccupied and carries the weight of Maycomb on his shoulders. Yet he clearly cares deeply about his children and instills in them his deep moral beliefs. "Over here we don't believe in persecuting anybody. Persecution comes from people who are prejudiced." "...it's time somebody taught 'em a lesson, they were gettin' way above themselves, an' the next thing they think they can do is marry us." This is a beautiful book. If you've ever started it and put it down because it was so slow paced, give it another try. Until I was about half way through the book, I was only reading a few pages a day. I thought it was lovely but it just was not pulling me in. Then I found that I could not put the book down; I simply wanted to immerse myself in Maycomb. In the end, I was sad to be done with it and sorry that I will never again have a chance to read this book for the first time. "Your father's right," she [Miss Maudie] said. "Mockingbirds don't do one thing but make music for us to enjoy. They don't eat up people's gardens, don't nest in corncribs, they don't do one thing but sing their hearts our for us. That's why it's a sin to kill a mockingbird." Thanks for convincing me to read this one, Molly! I just finished typing up a review for later this month; I now how five reviews already typed up and scheduled. I have never been this far ahead and I've got to tell you, it feels good! Even better, in the next day or so, I will finish up my last book tour book for the year. I do love getting the books for review, and have certainly discovered some gems that I never would have found otherwise, but I am so excited to be able to dive into my own books for the remainder of the year. Every so often, I begin to question the sanity of staying in Nebraska. Heading into winter, especially after a winter as horrible as last winter was, that feeling is particularly strong. Last night Miss H and I were called into duty to bring cheer and laughter to my niece. I felt a bit like Batman responding to the Bat signal. The four of us enjoyed chips, salsa, and drinks (although I'm not sure anyone seated near us enjoyed having us around). Most of all we enjoyed copious amounts of laughter, developed a few new "inside" jokes, and reminded ourselves, once again, of why we have chosen to stay near to family. "All for one and one for all" became our rallying cry Saturday night. 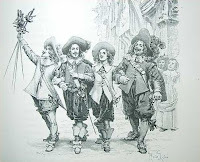 Thank you, Alexandre Dumas. Oh, and if you were wondering, steak knives make a more than adequate substitute for swords! Friday Finds - More Fairy Tales! If you thought the last fairy tale book I found on a Friday had a strange name, you'll have to agree that this one tops it. From Russia, Ludmilla Petrushevskya brings us "There Once Lived A Woman Who Tried To Kill Her Neighbor's Baby: Scary Fairy Tales." This is actually the second book of Russian fairy tales I have added to my wish list in the past week. On a much lighter note, my next addition to the fairy tale wish list is "A Tale Dark & Grimm" by Adam Gidwitz. Gidwitz has taken Hansel and Gretl out of their own story and into eight other fairy tale for young readers. Ron Rash's "Serena" was one of my favorite books last year so I'm excited to see that his latest, "Burning Bright" is now out. This I don't get though--why does it have exactly the same name as one of Tracy Chevalier's books? Her book was only published two years ago so it shouldn't have been too hard to find out that there was already a book with this title. Gonna read it anyway, though. Thanks to Miz B of Should Be Reading for hosting Friday Finds! What new books did you find this week? Sylvia Sandon: mother, wife, artist, teacher, home renovator. Adultress? Sylvia grew up in a family where her parents' marriage was rocky, to say the least. Her father spent long days away from home and was drunk and volatile much of the time when he was home. Her mother carried on a years long affair with a married man, an affair she dragged her daughters into. Sylvia saw what happened between her parents, saw how is made she and her sister take sides, saw how her mother's affair destroyed her father. But Sylvia now finds herself in a place in life that isn't working for her. The house she and her husband, Nathan, bought ten years earlier is still in the process of being renovated. It has sapped all of their money and all of Nathan's time. Sylvia has become certain that the house could have been done years earlier if Nathan had just let them hire others to do the work instead of insisting on doing everything himself. Her daughter, Hannah, is a terrific kid, as far as teenagers go but she is, after all, a teenager with all that that implies. Daughter Emmie is only four and a whirlwind of energy that Sylvia often finds exhausting. Perhaps most frustrating for Sylvia is the fact that her artistic talent has come down to teaching lessons and painting portraits; her ability to paint the beautiful landscapes she used to be so good at has left her. So when Emmie literally runs into Tai Rosen, father of one of Sylvia's students, a relationship sparks between Tai and Sylvia. The relationship forces Sylvia to examine her past and finally discover the truth about what happened between her parents and how it is still affecting her. "All through dinner and homework, bedtime stories and algebra problems, my desire sits breathing beside me, impatient and warm as a living man. All through teeth brushing and dinner dishes, laundry sorting and good-night kisses, I am as frantic in my skin as a dog on a humid night - I can't stand myself. I can't help it." While the exploration of infidelity in marriage is by no means a new subject, I felt that Ostermiller did a good job of looking at it in an interesting way, particularly in exploring Sylvia's mother's infidelity. The book moves back and forth between Sylvia's present life and her past in mid-1970's California. Elaine is, on the outside at least, a devout Seventh-Day Adventist who raises her daughters in the church. Elaine seems to, as so many in so many religions do, take only what works for her from her religion and only when it suits her. She really is an interesting character; I couldn't decide how to feel about her for most of the book. In the end, I think I just felt sorry for her.Ostermiller did a terrific job of really fleshing out Elaine, as well as the other adults in Sylvia's youth. "I often wonder if her restlessness took root there, shut into three rooms during those Midwestern inters, caring for us by day, typing medical reports by night. She was new to the city and didn't have a car. She loved Dad, but how lonely it must have been in that apartment when we were tiny and whiny and underfoot, clinging to her knees. How relentless it must have seemed, one baby crying on her hip, the other running wild, tossing Tupperware into the toilet and trying to cut her bangs with the nail scissors, no husband in sight." The End of Days teachings that young Sylvia is so drawn to are very much reflected in the wildfires raging through the area and the upheavals in her life. I don't think I've ever read a book with Adventists so prominent and it really made for an interesting backdrop for the story. I frequently found myself getting frustrated with Sylvia, as I often do when I read stories of infidelity, but I found I could understand her. The book was slow to pull me in, and my favorite parts were the parts in the past, but I kept thinking as I read that this would be a terrific book club choice. So much to discuss! Imagine how excited I was, then, to discover that I had won ten copies of the book from TLC Book Tours, for my book club. Can't wait to get their thoughts. If you're interested in winning books for your book club, TLC Book Tours sponsors a monthly give away for book clubs. For a full listing of the sites on the tour, visit TLC Book Tours. Thanks to Lisa and TLC Book Tours for including me in this tour! 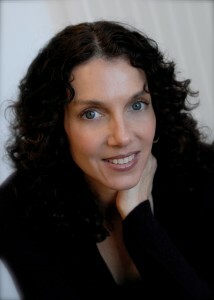 For more information on Ostermiller, be sure to check out her website. Wilbur, the runt of the litter, is a pig saved and raised by a girl named Fern. When Wilbur gets too big to live with Fern, he moves to her uncle's farm where he lives in a barn, surrounded by geese, sheep, a rat and a new friend, Charlotte, the spider. Although Fern saved Wilbur when he was first born, she's powerless to save him now that he's gotten bigger and it looks like he just might make a tasty ham for Christmas. But his friendship with Charlotte saves him when the people wake up one morning to find, written in Charlotte's web, the words "Some Pig" above Wilbur's head. People come from far and wide to see the amazing pig and, in the end, Charlotte's friendship saves Wilbur's life. I read this when I was young, I read it to my children when they were young. I've seen the movie dozens of times. So why did I read it again? Because it works for a couple of the reading challenges I signed up for and it made for a fast read. I didn't really expect to get anything new from the book after all of this time, just a bit of nostalgic happiness. Yet as I read this book this time, I was amazed that I had never fully grasped the violence in this book. How in the world did I not notice that when I was reading this to my kids? 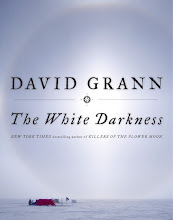 White absolutely pulls no punches just because the book is for children. It starts right off with Fern's father heading out the door with an ax to kill Wilbur. Then there's the description of a spider ensnaring a fly. And the part where a sheep describes to Wilbur how the farmer, Zuckerman, is going to kill him. This is a beloved children's classic; what does that say about our need to sanitize books for our children these days? The message I'm getting is that children are perfectly capable of understanding that the world can be a dangerous place, as long as the core message of the book is that everything will be alright when you are surrounded by people who care. I was also surprised by a passage about the fair. Given that this book was first published in the early 1950's, a time we tend now to think of as a kindler, gentler, safer time, I was surprise to find myself reading about parents being concerned about sending their children off at the fair without an adult. I'll grant you that it would not even have crossed my mind to send a ten-year-old off unsupervised at a fair when my kids were growing up but in my mind, it would have seemed perfectly logical to have done so in 1952. The burning question for me, after reading the book, is this: why does everyone think that Wilbur is so special? Why in the world do they all find it so much easier to believe that a pig wrote those words in a spider's web than to imagine that a spider did? "Phil Camp has a problem. Not that he wrote a self-help parody, Where Can I Stow My Baggage?, that the world took seriously and became a bestseller, or that he's been using a phony name. No, Phil's problem is the limp he's had for months. His constant pain leads him to Dr. Samuel Abrun, a real doctor who wrote a real self-helpbook (The Power of "Ow!") that has made thousands of people pain free. So what happens when the self-help fraud meets the genuine item? Does Phil get better? Can he hoble out of his own way to help himself? Most important, can the reader make it through fifty pages without thinking, Wait a minute. Is that a twinge I feel in my lower back, or just gas? Phil embraces the doctor's unorthodox treatments, but saves some passion for Abrun's daughter Janet - who has her own theories about relieving his pain Meanwhile, Phil delves into his dark past with the Irish Shrink, his psychotherapist. And to top it off, Phil confronts his nemesis, a right-wing radio blowhard, only to find out they share a common enemy - the same family. Please welcome my husband, affectionately known here as The Big Guy, to Lit and Life. When he saw the offer for this book in my email he insisted that we had to give it a read. So I told him I'd ask for a copy if he promised to do the review. Without further ado, The Big Guy's review of "Everything Hurts." For those of you that have lived in New York or just enjoy New York stories and culture, this should be an excellent book as it is strongly seasoned with a New York City flavor. In addition, the story develops some engaging relationships between the main character Phil and his brother, girl friend, ex-wife (in abstentia), neighbor who also does work for him (and her daughter), Irish therapist and the famous author or the "Power of Ow." You get the impression that Bill Scheft has lived a majority of this book as the characters and story come to life with his extreme wit and a*^ pain that rears its head throughout. Having sat in disagreeable chair for a few months and picking up a sciatic pain in my leg and rear end for a short period of time, I could relate to Phil's pain. Luckily for me it wasn't long term or psychosomatic. His leg and b*#@ pain play the leading lady in the book and seems symbolic for his life and relationships. Bill shows his penchant for sports and sport writing throughout and you can tell he has great experience in comedic quick-paced writing for David Letterman as he threads his wit into conversations and observations. The book leans a bit toward a male audience, but will also appeal to women due to Phil's ups and downs with with the women in his life and due to Phil's is vulnerabilities throughout. "Everything Hurts" would be best enjoyed by a reasonably educated crowd but will appear to a wide audience. I'm not sure The Big Guy enjoyed this one quite as much as he had hoped to--there was very little laughing out loud--but it was a nice change of pace for him.